Hey everyone, just wanted to let you know that MobileVantage just moved into a slick new office space in Toronto's Annex area! Located at 225 Brunswick Avenue, we now have a new home in the heart of downtown Toronto. 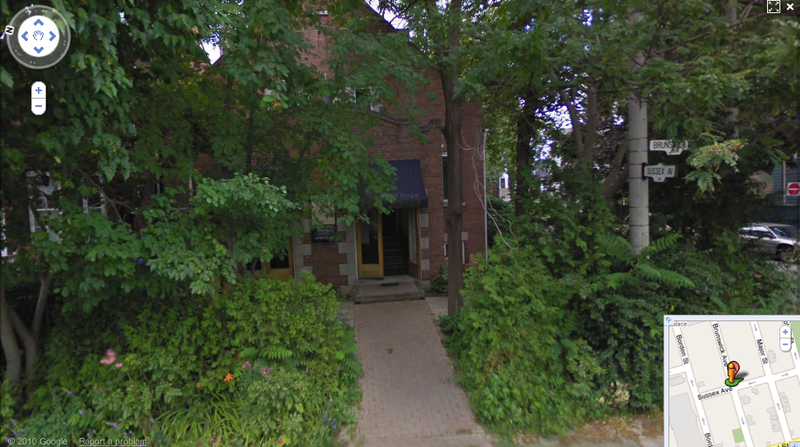 It's a cool little residential office building in one of my favourite Toronto neighbourhoods. Feel free to stop by and say hi, or even check into "Mobilevantage HQ" with FourSquare if you're in the area. Just checking in on FourSquare can get you a 10% discount on any of our services. How great is that?!?! Here we are on Google Streetview!